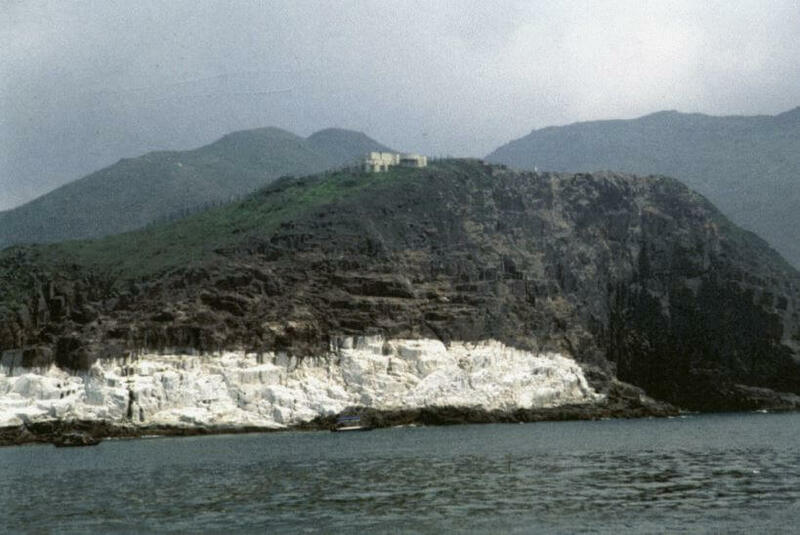 HF: “The light is situated at Lam Tong Mei, a small rocky peninsula at the extreme southern tip of Tung Lung Island. It was constructed by the Japanese during their occupation of Hong Kong, from 1941 to 1945. It was originally used as a gun emplacement to protect the south-eastern approaches to Victoria Harbour. It is built of concrete and the walls and roof are about one metre thick. The chamber which housed the gun consists of a rectangular room, about 40 square meters in area, with a semi-circular bow front in which the wide-angle embrasure for the gun was formed. 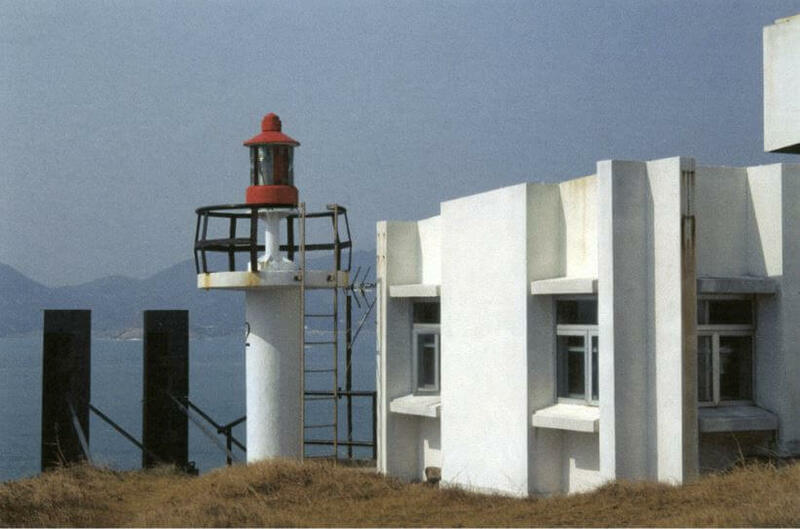 In 1965 the gun emplacement was converted into an engine room for the Marine Department’s Tathong Point Lighthouse.